Baldellia ranunculoides subsp. ranunculoides (L.) Parl. 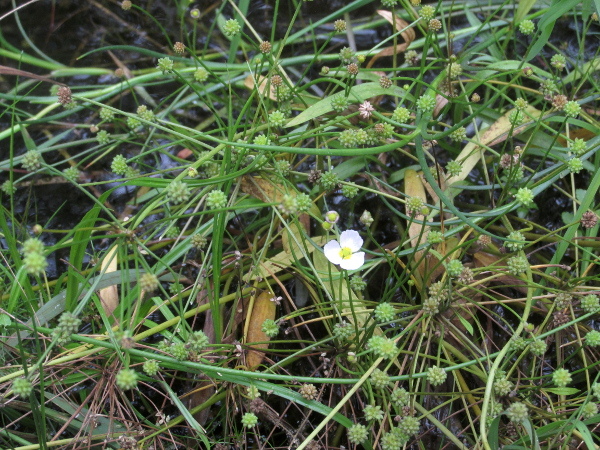 Baldellia ranunculoides has white, three-parted flowers with rounded clusters of carpels (achenes), like a water-crowfoot; most others in the family have their carpels in a single whorl. Baldellia ranunculoides subsp. ranunculoides has smaller flowers and larger fruiting heads than the rarer B. ranunculoides subsp. 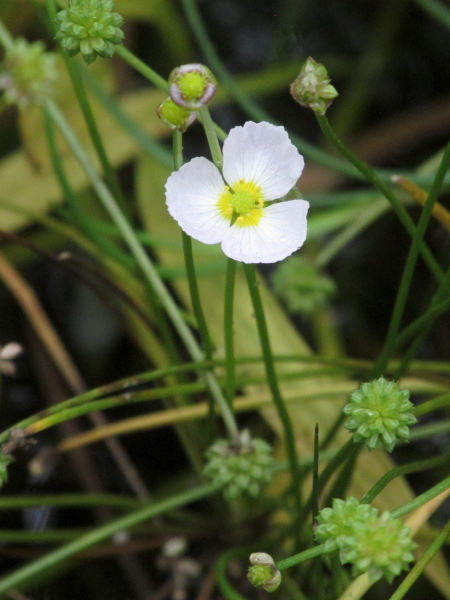 repens, with the flower width : fruit width ratio around 2, rather than 3–4.